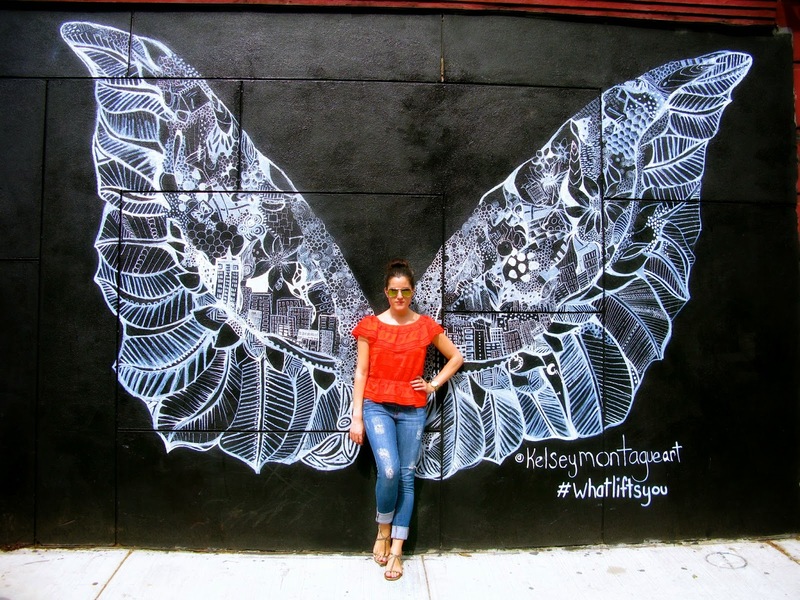 It seems like every weekend, there's a new mural in downtown Manhattan that I'm dying to go see. Before winter comes along and the streets are covered in snow again, new murals are being added left & right. Although the street art and graffiti in Little Italy is a draw to the neighborhood itself, the San Gennaro festival begins this weekend, which means the crowds will thicken and the art will be slightly harder to enjoy from the busy sidewalk and countless booths selling sausage and peppers. Between cannolis and gelato, I stopped by this weekend to get a sneak peek before all the excitement begins. 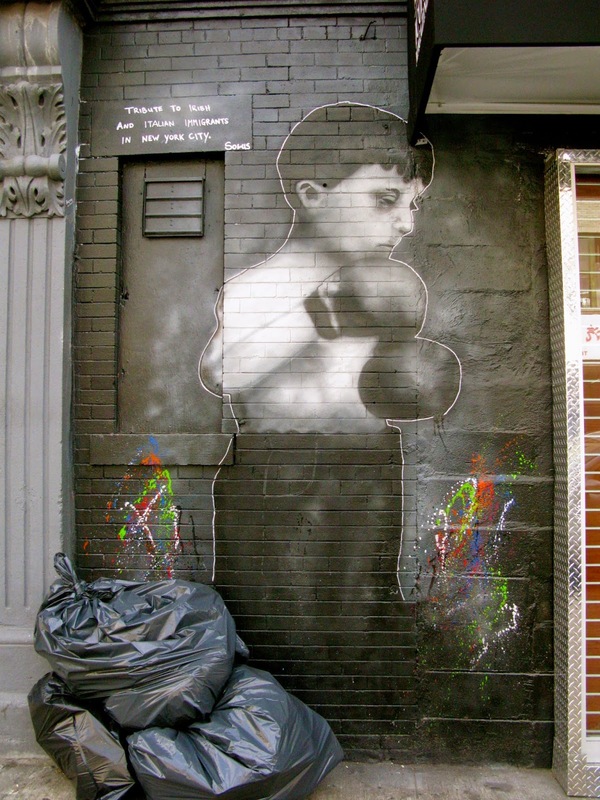 If you haven't read my Little Italy Street Art Project posts before, do so now!! You'll get to see the evolution of the wall above, and many more. The space outside of L'asso pizza has become a popular landing spot for new murals and artists. 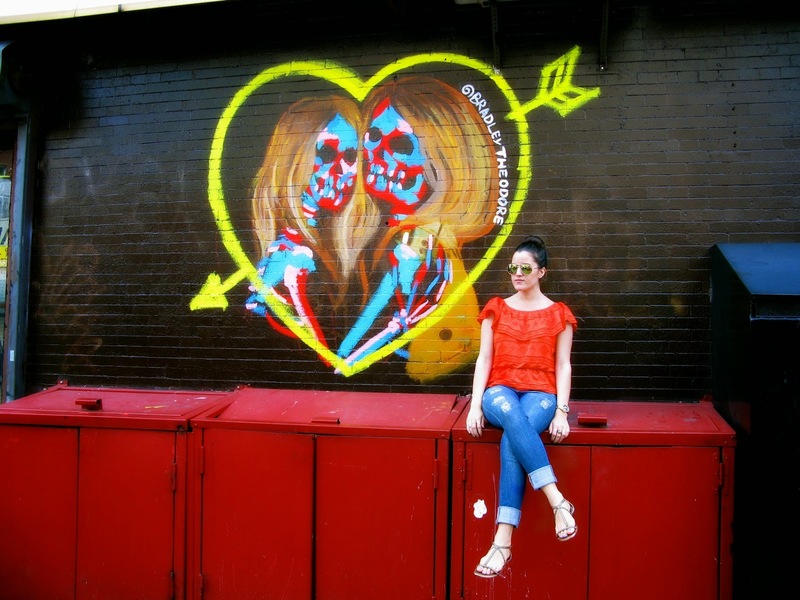 And yes, all my LI posts start out with "Love in Little Italy." If you've ever been to the neighborhood, you know that Mulberry Street and it's surrounding area has a welcoming and loving vibe to it. 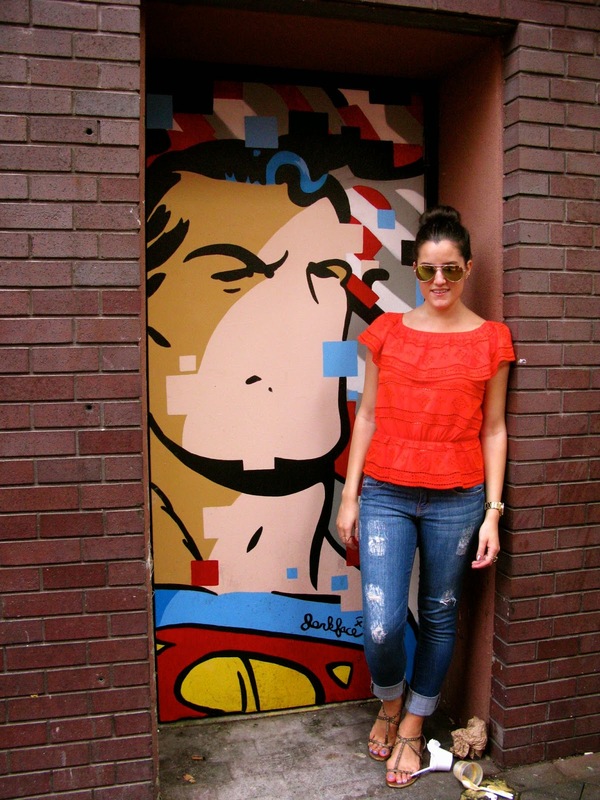 Add in a splash of colorful murals every few businesses, and a beautifully friendly neighborhood is revived! 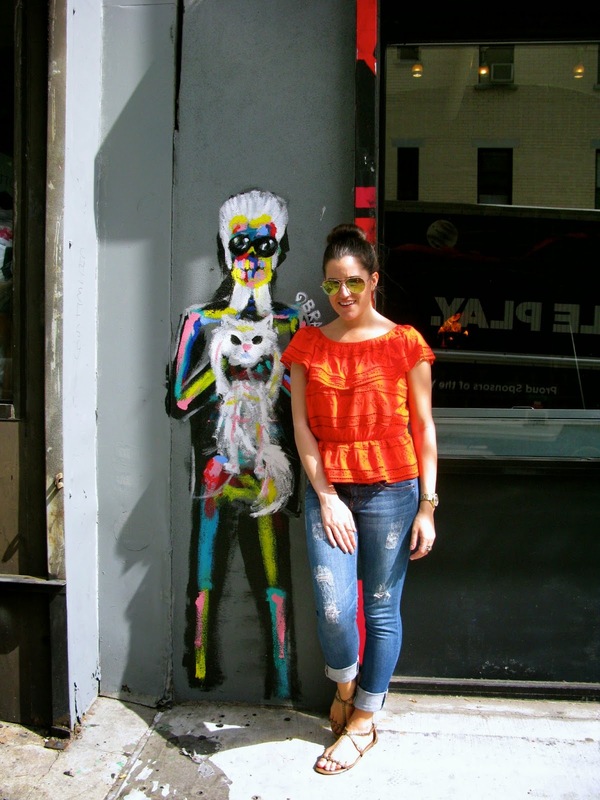 My favorite part about this update is the new Bradley Theodore work in the neighborhood. 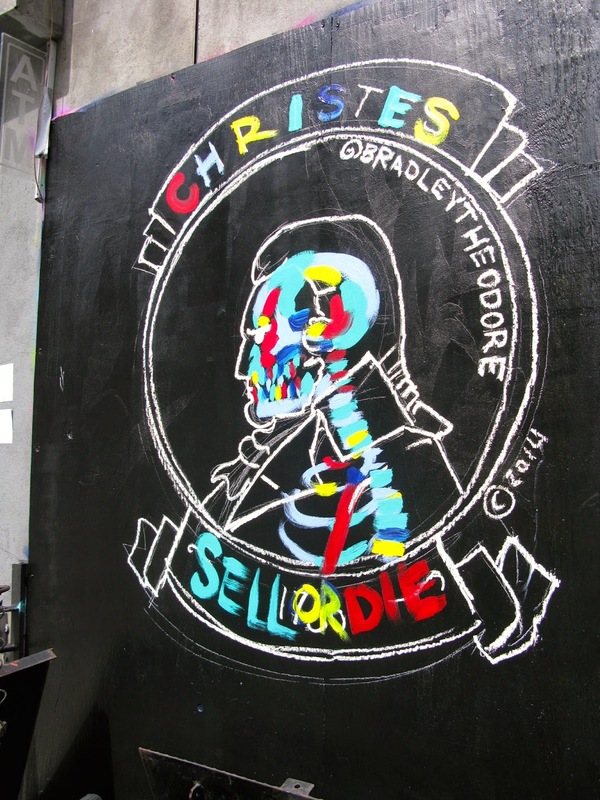 One of my all time favorite street artists, BTH always comes up with new little skull quirks to keep the city fresh and fun. Above, Thomas Jefferson on the nickel, titled "Sell or Die." Around the corner and pictured below, Karl Lagerfeld and his cat. Above: a special painting for New York Fashion Week, featuring Kate Moss and Cara Delevingne. Fabulous!!! 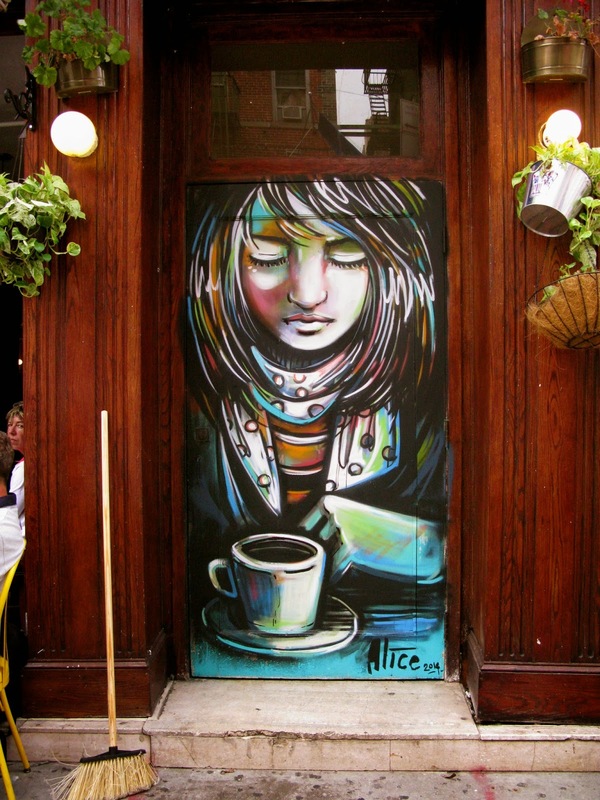 Another mural I've taken pictures of before that I'm including again today is this beautiful coffee shop mural by Alice Pasquini. Most days, the mural sits behind a table of four, which is usually filled with patrons enjoying their pizza and pasta. In any case, today just a broom sat nearby. I couldn't help but snap a new shot! Last but certainly not least, this mural blends in perfectly with the Little Italy scene. Perfect colors matched with an edgy vibe, the grate over this gift shop has one of the best on the block. 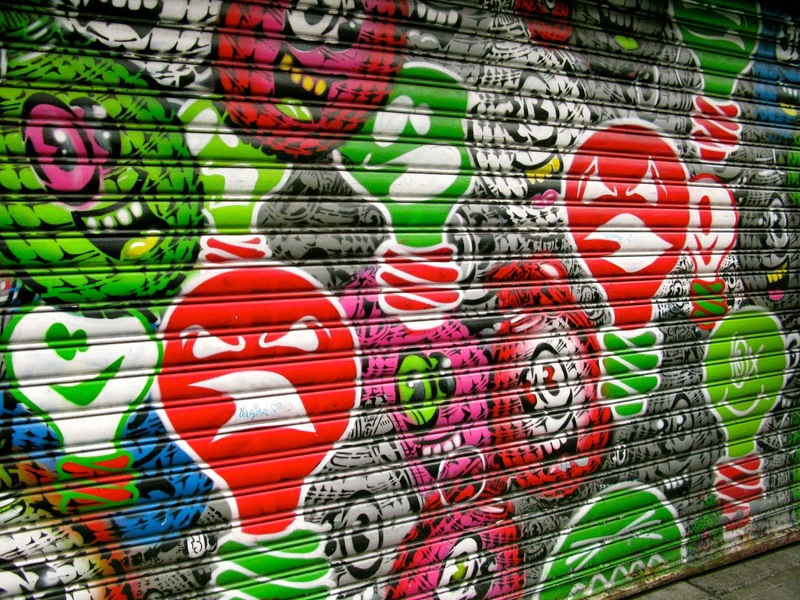 Art by 5ptz curator Meres One! I love love love Little Italy. This summertime affair started when I first moved to NYC, and would head to the neighborhood for what I thought was the ultimate New Yorker cultural experience. Although I didn't understand it in the same context at the time, I think my original perception holds true to today. A neighborhood filled with arts and culture, and a mutual love for the beautification of our streets. Honestly, Mulberry St. is never not going to be covered in trash. But the murals as a backdrop certainly help the appearance. Keep it fun, and as always, I'll keep coming back!